To spend on eyewear at perspective optometrists now! Once you have filled in your details, you will receive an email that acts as your voucher. I had my eyes checked and bought glasses here a while ago and went back again this week because I wanted some new glasses. An unhurried and thorough eye test. No pressure to choose frames, and I’m not good at making up my mind, but they found a great pair that suited me very well. They were ready much faster than initially told. Initially we chose Perspective Optometrists because it was conveniently near our home but since then we have moved to another borough and have chosen to stay with Perspective because of their excellent service. The personalised service is great and the Perspective Optometrists team truly engage with their customers. I love all my glasses from Perspective and thanks to Rupal and her teams’ style advice I now have glasses that really suit me. Very good service, highly professional. Recommended. If you are bored of visiting Opticians and seeing rows and rows of frames that look the same, wait till you see our collection. At Perspective you’ll find a whole new world of eyewear. We champion niche brands that use craft and hand-made processes using the best quality materials. We search high and low for eyewear collections and work with some of the most admired eyewear designers. We don’t believe in mass produced products, your Eyewear should be as individual as you. At Perspective, your 45 minute eye examination will be with a senior Optometrist. Many of our clients are professionals and choose Perspective for their Eye-care because they want to be seen by experienced Optometrists who have the expertise to deliver with care and time. We take 45 minutes (rather than to industry norm of 20 minutes) because we want to be thorough and the extra time means that we can give better advice and recommendations. We all know how precious good sight is so we like to take our time looking after your eyes. 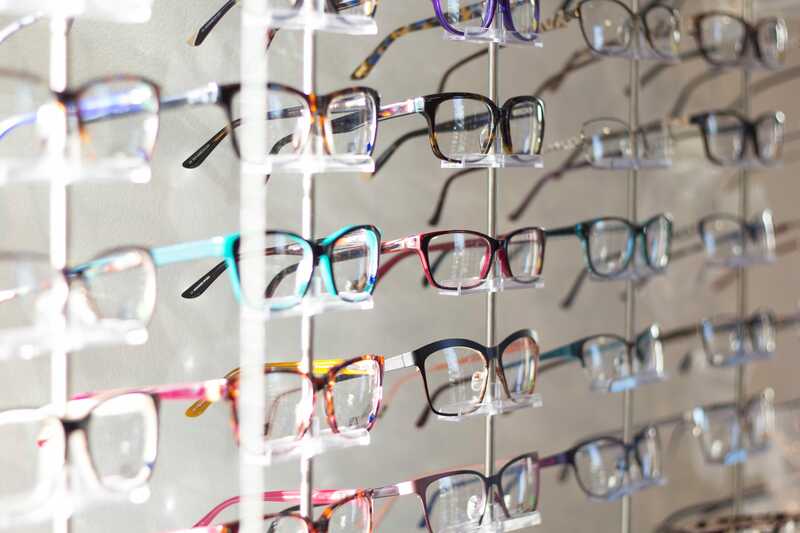 Our Dispensing team work in close contact with our Optometrists to ensure that care and expertise is carried through in finding the best eye wear solutions for you. With our technical know- how and up to date product knowledge you will be in safe hands. We are a small friendly team and we love to take time to get to know each of our customers so that we can give them the best advice, unique to their individual needs. If you are fed up of being just another number then come and see us and experience the dying art of personalised, caring, customer service. We are also known for making our clients a great cup of tea or a fancy coffee. At Perspective we stand behind the recommendations and advice we give you. Our “Love Your Glasses” Guarantee means you can’t make a mistake with your choice of eyewear. If, for any reason, you find that the fit of your frame is uncomfortable or if you have any discomfort with the lenses within 60 days of collecting your new glasses, you can choose an alternative frame and/or lenses that will be more comfortable for you. All at no charge. We guarantee you will love your glasses! In addition we provide ongoing aftercare service to look after your eyewear for as long as you have them.